The Celebrity Xpedition is not the only worthy boat sailing the Galapagos waters. But its the best when you consider the following seven qualities collectively. The Celebrity Xpedition has the most spacious, comfortable, and spiffy cabins and public spaces in the Galapagos Islands. Click cabin layouts and deck plans and public spaces for my pages containing descriptions and pictures. Moreover, because of its size, the Celebrity Xpedition rocks less than smaller boats in choppy water. No boat surpasses the Celebrity Xpedition crew in providing attentive, obliging and personalized service. The Celebrity Xpedition uses only the top-grade (level 3) naturalists. That's important because going on an excursion with a lower grade (1 or 2) naturalist will likely affect the quality of knowledge you bring home. As with other luxury ships, the vast majority of Celebrity Xpedition passengers are intelligent, educated and well-traveled. What gives the ship the edge is that its passengers tend to be more approachable. 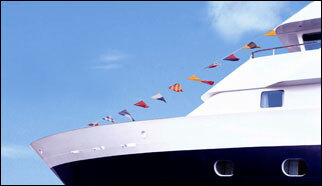 They create a greater sense of community that enhances the pleasure of a cruise. The Celebrity Xpedition is large enough to sail easily to the outstanding western islands, Fernandina and Isabela. Small yachts omit those destinations because of distance and open-sea conditions. The Celebrity Xpedition offers the best dining experience in the Galapagos Islands. Click dining for my descriptive page. The Celebrity Xpedition fare is high end, but it's a good value when you take into consideration all the positives listed above. And don't forget that the fare includes all drinks (except super premiums) plus tips for the crew and naturalists. Those add up to a tidy amount on most boats.